NOVI, MI--(Marketwired - January 11, 2018) - Dr. Lori, the internationally known celebrity antiques appraiser on the History channel's number one hit, The Curse of Oak Island, returns to The Novi Home Show, January 26-28, 2018, at Suburban Collection Showplace in Novi, to discuss antiquing tips, how to spot a bargain and appraise audience collectables. While she can't give out too many details, Dr. Lori will also be glad to answer questions and theorize where the treasure might be buried on Oak Island. Dr. Lori has been a frequent advisor on the number cable show The Curse of Oak Island for a number of seasons. 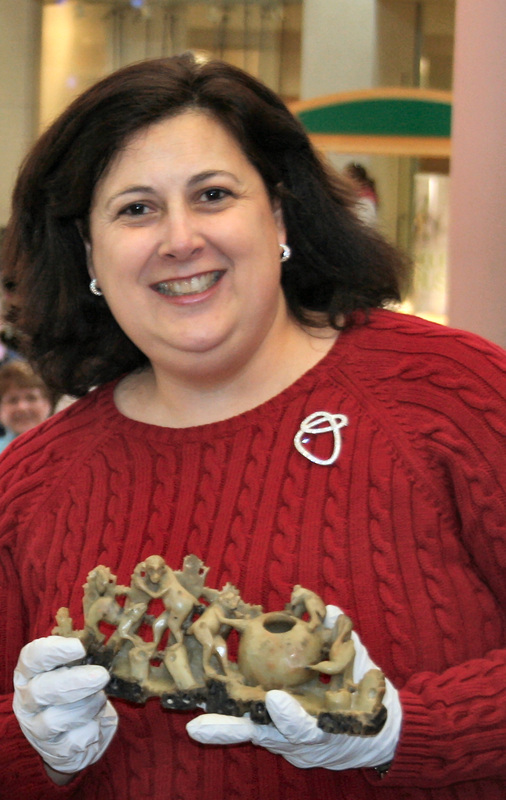 During Dr. Lori's Antiques Appraisal Event, on The Novi Home Show's Inspiration stage, Dr. Lori will appraise items brought in by show attendees as well as offer advice on recognizing something of value, not getting swindled when it comes time to sell and caring for treasures you already have. "Bring anything you want. There is no standing in line and no object is off limits," said Dr. Lori. If your object is too big to carry, Dr. Lori can appraise from images or videos from a smartphone. The first appraisal is free, additional appraisals are $25 each. Inspiration stage show times for Dr. Lori are: Friday, 3 p.m. and 6 p.m.; Saturday, 1 p.m. and 4 p.m. and Sunday, noon and 3 p.m. The Novi Home Show, January 26-28, 2018, is at the Suburban Collection Showplace, on Grand River, south of I-96 between Novi Road and Beck Road. Show hours are Friday 2-8 p.m., Saturday 10 a.m.-8 p.m. and Sunday 10 a.m.-5 p.m. Adult admission (ages 13 and up) is $10, senior admission (ages 55 and up) is $9 and children 12 and under are free! Special "$5 after 5" admission pricing Friday and Saturday. Parking is not included with ticket purchase. Register to win free tickets to the show at novihomeshow.com. For more exhibitor information, seminar schedules, coupons and advance tickets, visit novihomeshow.com. Dr. Lori will discuss antiquing, how to spot a garage sale bargain and will also appraise your items at The Novi Home Show, January 26-28, 2018.